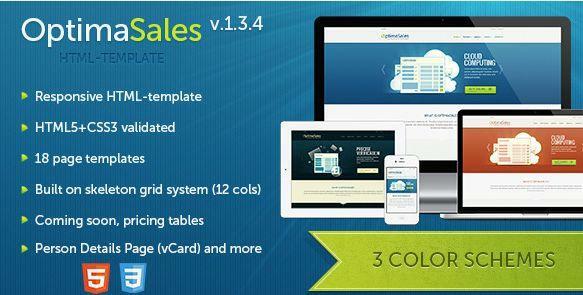 OptimaSales is responsive, pixel perfect, clean and multipurpose HTML-template. It can be used like corporate site and site to present different sort of application for IT companies, webdevelopers and other companies. This theme was created by using the latest HTML5 and CSS3 techniques and Built on Skeleton grid system (12 cols). With a responsive design it is suitable for any device (desktop, tablet, mobile phone). OptimaSales is appropriate theme to any sort of your ideas, as it has 16 HTML pages, such as how it works page, coming soon page, portfolio (2, 3, 4 cols), pricing tables. It’s easy to customize to your needs.